The answer to the title of this essay is, yes! Jesus was dead for a full three days and three nights, and that fact can be established from Jesus’ own words. The Bible tells the story of a time the Pharisees, who had accused Jesus of collusion with the devil, asked him for a sign from a source other than just his own words—one that clearly originated with God—to prove he was who he said he was. So Jesus referenced the story of Jonah to his own pending burial and resurrection. 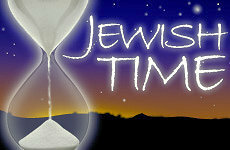 Showing that Jonah was a sign to the Ninevites to repent,1 the Son of Man would be the same to the current generation. As explained in a well-known Bible commentary, “Jonah’s case was analogous to this, as being a signal judgment of God, reversed in three days, and followed by a glorious mission to the Gentiles. The expression ‘in the heart of the earth,’ suggested by the expression of Jonah with respect to the sea [see: Jonah 2:3, YLT] . . . means simply the grave, but this considered as the most emphatic expression of real and total entombment.”3 Jesus’ statement makes it evident that ‘three days and three nights’ is an established biblical truth. But if this is true, why do most Christian religions suggest Jesus died on Friday afternoon (Good Friday) and was raised from the dead on Sunday (Easter) morning, for that is only a day and a half span of time? Think about it! Friday afternoon to Saturday afternoon is one day and Saturday afternoon to early Sunday morning is only a half day. That is not what Jesus said would happen. 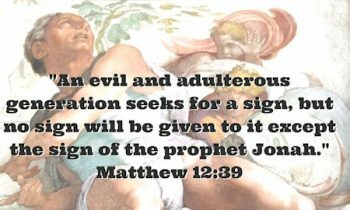 Many people believe this error to be a deceptive or political decision by the early Church to manipulate the Christian people, while others think it may have started as an error of understanding. Whatever the reason for the error, it is not the only one concerning the death and resurrection of our Lord Jesus Christ. The Bible plainly indicates neither the day of the week for Christ’s death, nor the time of day for his resurrection, so how can we resolve these problems? Unlike days on our secular calendar, which begin and end at midnight, the Jews follow God’s creation of darkness before light. Since God established night first, the Jewish day begins in the evening and continues until the next evening — nightfall to nightfall.4 “God called the light Day, and the darkness he called Night. And there was evening and there was morning, the first day” (Genesis 1:5, NRSV).5 Generally, the evening, and a new date, begins about 6:00 p.m. Morning begins about 6:00 a.m. Remember this: evening before morning. Of course, at that time, A.M. or P.M. indicators were not used for morning and evening, but time was called by “watches” and “hours.” At night, “First Watch” was sunset to 9:00 p.m. and “Second Watch” was 9:00 p.m. to midnight, and etc. In day time, “First Hour” was dawn to 8:00 a.m. and “Second Hour” was 8:00 a.m. to 9:00 a.m., and etc. Even the months were counted differently in Jewish culture, using the moon phases for guidance. Holidays seem to roam around on the Jewish calendar, whereas most stay static on ours. We will touch lightly on the events of Jesus’ death and resurrection for this short study, but the full story should be read for proper context. The more comprehensive accounts can be found at: Matthew 26:14—28:15; Mark 14:10—Mark 16:18, Luke 22:3—24:12, John 13:36—20:10. According to the book of Mark, Jesus was placed on the cross6 early in the day: “It was nine o’clock in the morning when they crucified him” (Mark 15:25). His death came mid-afternoon, just a few hours before the day ended: “At three o’clock Jesus cried out with a loud voice . . . Then Jesus gave a loud cry and breathed his last” (Mark 15:34 & 15:37). The body of Jesus was taken down from the cross and placed in the tomb just prior to the beginning of the new day: “When evening had come, and since it was the day of Preparation, that is, the day before the sabbath . . . a respected member of the council . 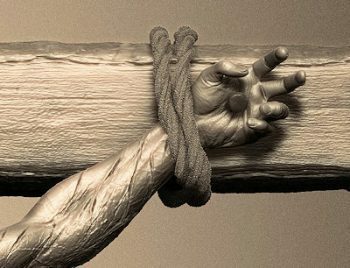 . . went boldly to Pilate and asked for the body of Jesus” (Mark 15:42–43). “Then he took it down, wrapped it in a linen cloth, and laid it in a rock-hewn tomb where no one had ever been laid. It was the day of Preparation, and the sabbath was beginning. The women who had come with him from Galilee followed, and they saw the tomb and how his body was laid. Then they returned, and prepared spices and ointments. On the sabbath they rested according to the commandment” (Luke 23:53–56). The Bible doesn’t mention the day or time of resurrection, but does mention the day that it was first realized Jesus had been raised. “But on the first day of the week, at early dawn, they came to the tomb, taking the spices that they had prepared. They found the stone rolled away from the tomb, but when they went in, they did not find the body” (Luke 24:1–3). We may conclude that this day must have been Sunday, because it was the ‘first day of the week’ for Jews, but remember that the first day of the week began the previous evening at 6:00 p.m.
Is there is a problem here? Using the above scripture, Jesus was placed in the tomb the day before the Sabbath (day of rest), and then on the first day of the week (Sunday) he was found missing from the tomb. Isn’t the Sabbath a Saturday? So, does that prove he was in the grave for only one day and a half? No! If you are a Jew, you will understand, if a Christian, then probably not. There were two Sabbaths that week, because it was also the time of Passover. The Feast of Unleavened Bread, which was celebrated over a seven-day period, had its own Sabbath day. At the time of Jesus’ death, the high Sabbath of Passover (or of Unleavened Bread) was Thursday, and should not to be confused with the regular weekly Sabbath on Saturday. Although the Jewish calendar varies from our secular calendar, at the time Jesus died7 this is how the events unfolded. On Wednesday evening (after sundown Tuesday), Jesus ate his Last Supper8 (Matthew 26:17-19; Luke 26:1-20). Later that evening, he was captured, then brought to Pilate (Matthew 27:1-2) and was crucified in the morning (still on Wednesday). He died later in the afternoon (still on Wednesday). 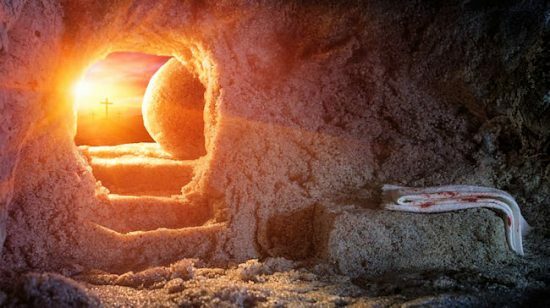 To keep his dead body from remaining upon the cross on a sabbath day, it had to be removed (John 19:31) without delay (still on Wednesday).9 Jesus was then placed in a tomb prior to sundown. All this happened during one single 24-hour day, the Hebrew’s Wednesday (sundown Tuesday to sundown Wednesday—remember, evening before morning); Thursday was Passover day (beginning at sundown Wednesday). Okay, let’s get this straight. Jesus was laid in the tomb and remained there for three days and three nights: (1) Thursday (sundown Wed. to sundown Thurs. ), (2) Friday (sundown Thurs. to sundown Fri.), and (3) Saturday (sundown Fri. to sundown Sat.). He was resurrected sometime after sundown Saturday (the new Sunday night) and early Sunday morning when the women arrived to apply the spices and ointments, but found his body missing. The common modern belief of Jesus being crucified on Good Friday and then resurrected on Easter Sunday morning is incorrect. The evidence proves that Jesus died on Wednesday afternoon, placed in his tomb at the very beginning of Thursday and was resurrected sometime after sundown Saturday, and then discovered missing from the tomb on Sunday morning; that time period includes a full three days and three nights, just as stated by Jesus beforehand. Jamieson, Robert, Fausset, A. R., and Brown, David, Commentary Critical and Explanatory on the Whole Bible, (Oak Harbor, WA: Logos Research Systems, Inc., 1997), vol. 2, p. 42. Jamieson, Robert, et al., Commentary Critical and Explanatory on the Whole Bible, (Oak Harbor, WA: Logos Research Systems, Inc., 1997), vol. 2, p. 42. Was it a cross or a pole? A study of this topic can be read by using the following link. The day Jesus died. The Passover begins on the 15th day of the month of Nisan, which typically falls in March or April of the Gregorian calendar. Passover is a spring festival, so the 15th day of Nisan typically begins on the night of a full moon after the northern vernal equinox. Note: Corpses of the crucified were typically left on the crosses to decompose and be eaten by animals, but Jews were generally allowed to remove the body after death for burial. In first corinthians it say jesus rose on the third day. Yes, it does. You are probably referring to 1 Corinthians 15:4. Although letters and emails sent to me about this article indicate much more positive feedback than negative, a similar response was recently asked in an email sent to my office and I will answer you with what I wrote to them. Various texts and other scripture state: 1) on the third day, 2) in three days, and 3) after three days. Bible writers couldn’t always write with precision when the most accurate time-keeping technology of that culture and period was only a sundial. It is safe to say that time references were only approximate, and varied from place to place. I believe that part of the reason Jesus referenced Jonah was to state for the record, and to more accurately specify, his approaching time to be spent in the tomb. “For just as Jonah was three days and three nights in the belly of the great fish, so will the Son of Man be three days and three nights in the heart of the earth” (Matthew 12:40, ESV). This would indicate a full 72 hours, or three 24 hour days. Another thought or two or three—although technically in the fourth day, he could have risen immediately at the completion of the 72 hours in the tomb. Or, considering that he died maybe an hour or two or more before being placed in the tomb, he could have actually risen an hour or two or more before the fourth day, but still have been dead for the three 24 hour days. There are even varying thoughts and traditions among the differing Jewish sects, which could play into the amount of days necessary before resurrection of the body (at least for them). I figured all this would add a bit too much confusion for an article of this short length. All these may be ideas to consider, if someone wishes to do more research, but ultimately, the precise times may not matter much at all; it is the fact of his resurrection that is important to the Christian. I have no intention to debate this issue; let everyone use their God-given free will to decide upon what to believe. The whole idea of this article was to show that Jesus did not die on (Good) Friday afternoon and then resurrect on (Easter) Sunday morning, as most churches teach today. I will still personally rely upon Jesus’ own words—three days and three nights.